A winter storm warning, on April 10th? Seriously? 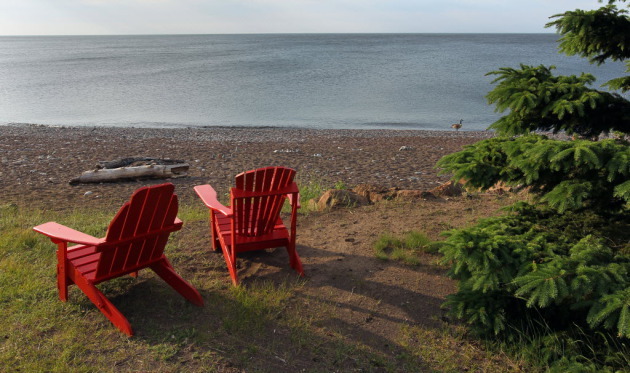 My snow-battered psyche is getting through this cruel weather by returning to the memory of a trip my colleague Tom Wallace and I took last June to Lake Superior's north shore. As I click through Tom's images, I keep muttering to no one in particular, this is what Minnesota will look like in two months, this is what Minnesota will look like in two months. Here's hoping, anyway. In the meantime, follow my lead and live vicariously through Tom's photos. This was taken just outside Naniboujou Lodge near Grand Marais, close to where the Brule River empties into Lake Superior . 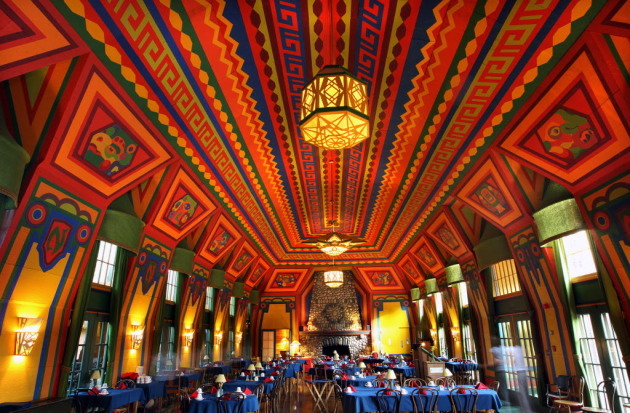 The historic lodge opens for the 2013 summer season on May 17, but is hosting a Mother's Day brunch in its magnificent dining room (pictured, below) on May 12. 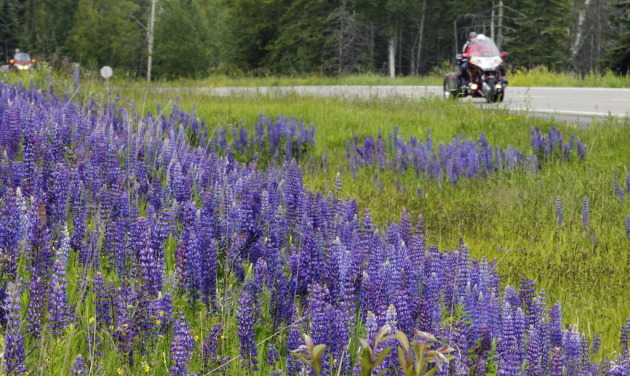 Purple lupine in bloom along the ridiculously scenic Hwy. 61, near Lutsen. I think of Hwy. 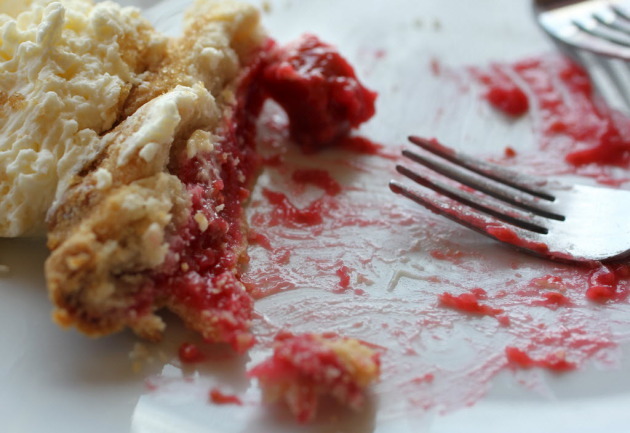 61 as the Pie Trail, because the shore-hugging route features one let's-stop-for-pie destination after another. The place I never miss? The New Scenic Cafe, just up the shore from Duluth, where chef Scott Graden and his crew turn out fruit pies of great distinction, including this rhubarb-raspberry beauty. Graden is releasing a cookbook this year; here's hoping he's including some pie recipes, along with a few trade secrets. 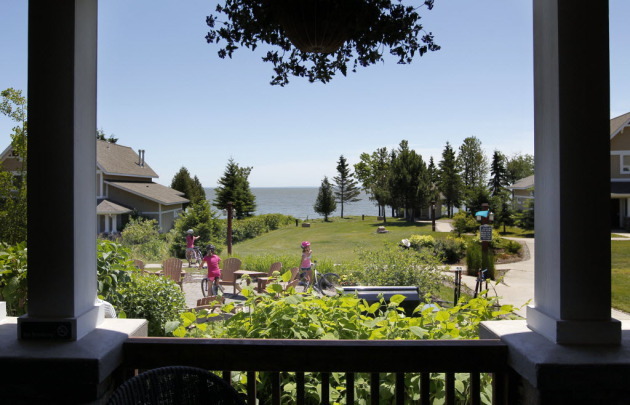 The view from the patio at the Ledge Rock Grille at Larsmont Cottages resort near Two Harbors. 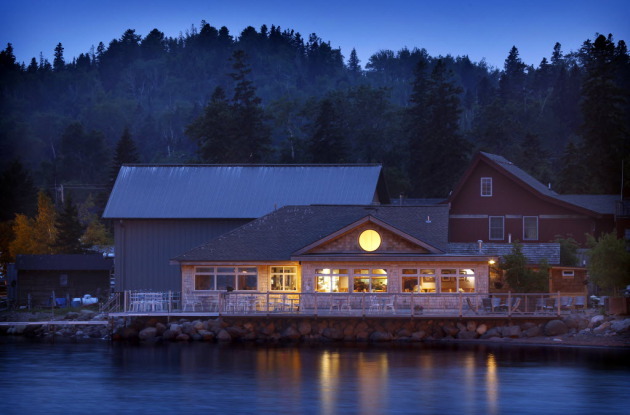 Summer nights: The Angry Trout Cafe in Grand Marais, at closing time. The restaurant's 2013 opening date is April 25. .